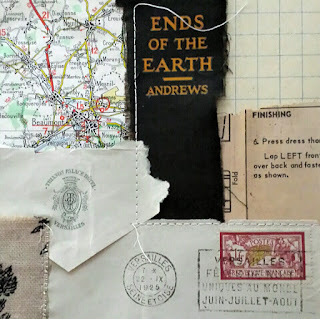 After the wonderful response we've had to Amy Duncan's Four Corners Design feature in Maker Space this week, Amy has suggested a Giveaway of one of her collages! Oh lucky people, this is a goody! 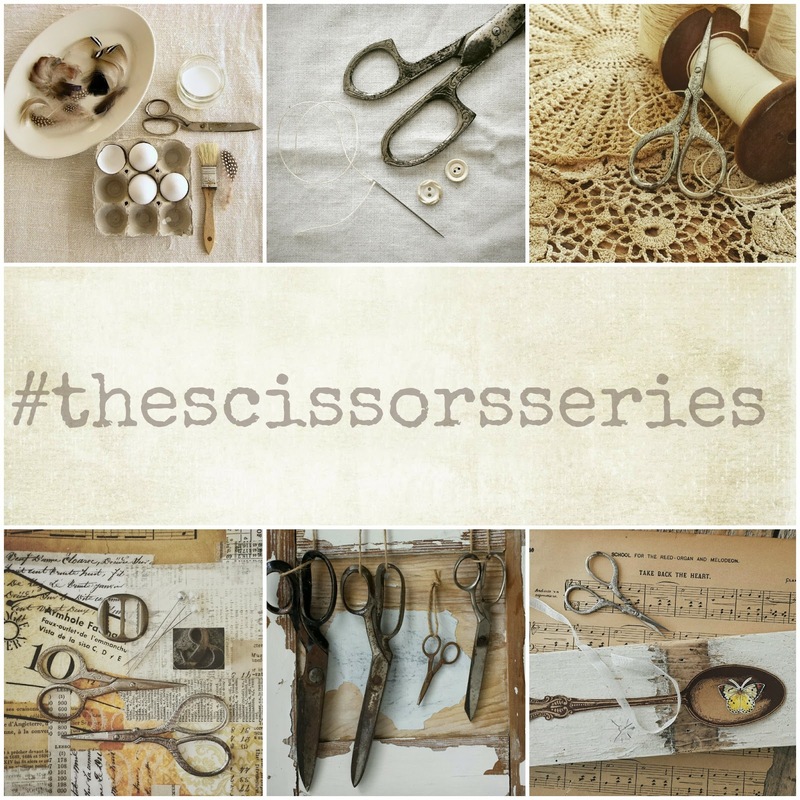 Amy has selected the tag #thescissorsseries which is a perfect tag for a collage artist! But as you know, I like to make you work creatively for the Giveaways I host - so out with your props for this month's challenge! 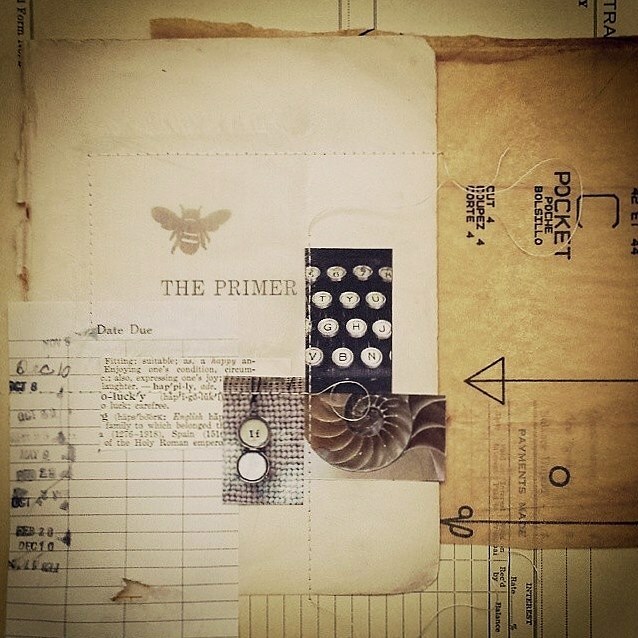 You could be in to win a print of this beautiful collage by Amy, entitled 'The Primer', as well as a pair of scissors! See entry details below. Comp is open worldwide and closes Friday 6 November. Amy will also judge this month's winning entry. Go on then, get clicking - we are eager to see your entries! 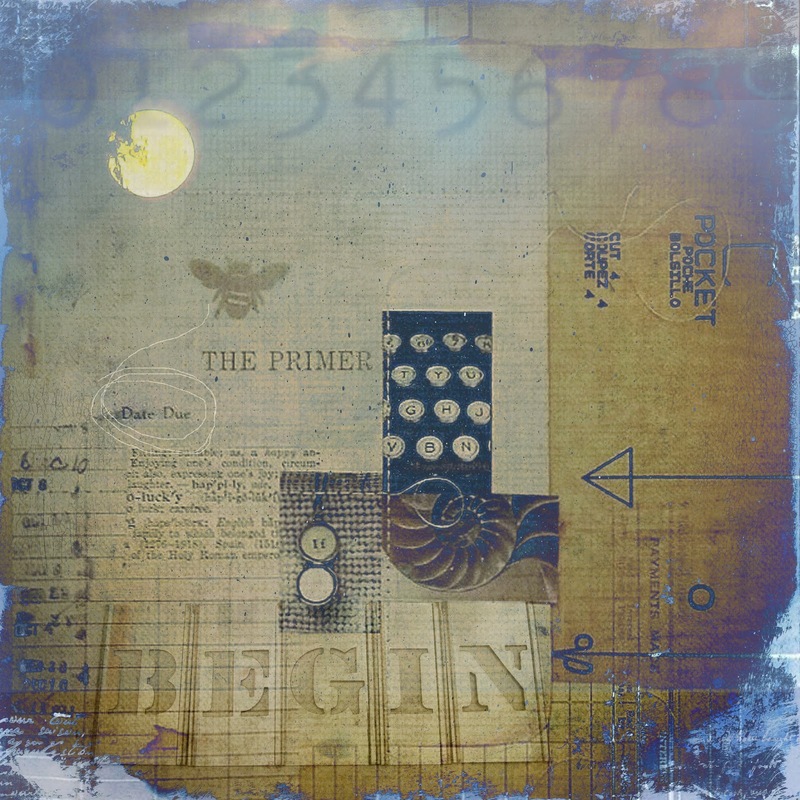 It's been a while since I featured an artist and this month I'd like to share the wonderful talent that is Four Corners Design - run by collage artist, Amy Duncan. I asked Amy five questions and here she tells us a little about her art interest and how she puts together her craft. Thank you Amy, for your time and for sharing your frank reflections. Tell us about how you developed an interest in collage? This really stretched my memory...thinking back to grade school, I always had an interest in art; I even remember winning an art contest and receiving a set of acrylic paints as the prize (which interestingly I never used- I guess I knew from an early age that I wasn’t going to be a painter). I didn’t pursue much art in high school or beyond because I was more practical and studied math and sciences instead. 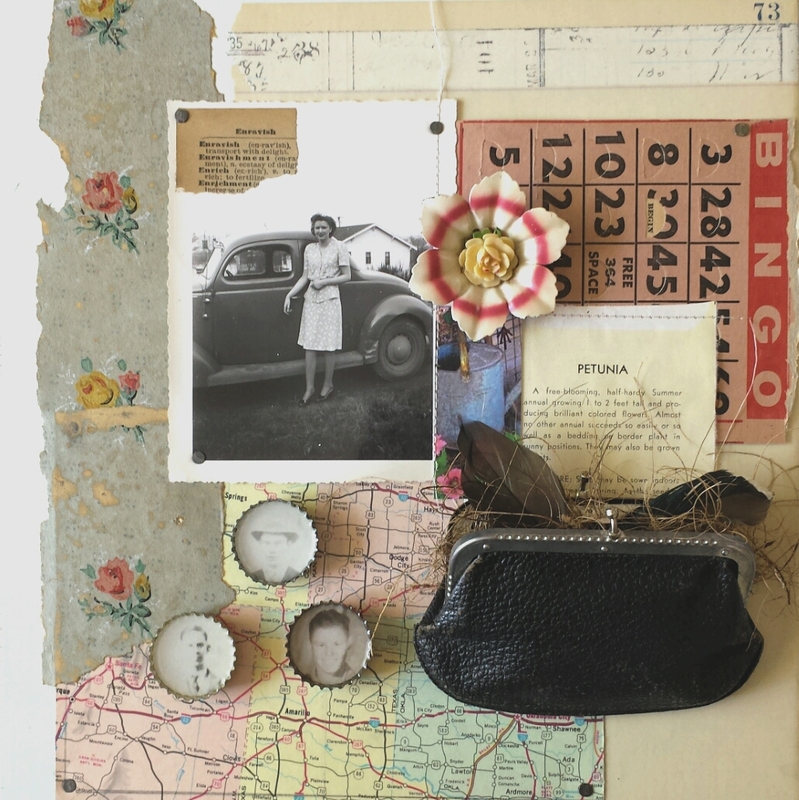 I started putting together collages, primarily composed of pictures and ads from magazines while I was in college; in fact I remember making a massive collage that covered most of one wall in my dorm room – I regret having no camera at the time to take a photo to remember the details. I continued to make more manageable sized collages, often mounted on cardboard, using again magazine images – they always had a theme to them, a thread that ran throughout the photos, tying them all together – I imagine that’s how I selected and composed – according to what the theme was. I have one of those early collages that I framed and now hangs in my office. It’s interesting that it incorporates birds and the idea of flight, a theme that’s prevalent in my work to this day, over 30 years later. 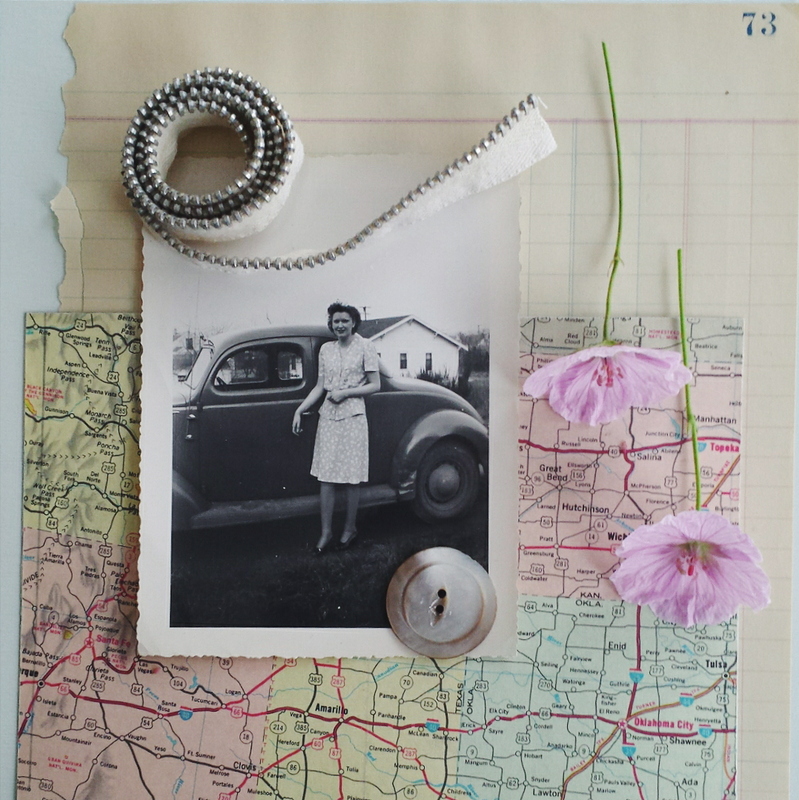 Your collages tell stories. How are you inspired to put them together and what approach do you take in laying out the design? It usually starts with snippets of paper or a found object that catches my eye and lights a fire in my imagination – something just clicks – I can’t explain it any other way. I usually work on more than one collage at a time; when I’m starting out I begin by rummaging through my piles of paper and boxes of junk and pull out pieces that interest me and make a collection. As I dig further and further, several piles will emerge that have several items in each. In turn, I look at each pile, determine what I like, what works, what might work. I often do a dry run of laying out a collage; this helps me to see the relationship between the pieces, what needs tweaking, what can be eliminated, what else I need to complete the picture. With having more than one collage under construction, things can get moved around and sometimes end up in totally different arrangement than what I originally had in mind – happy accidents can and do occur! 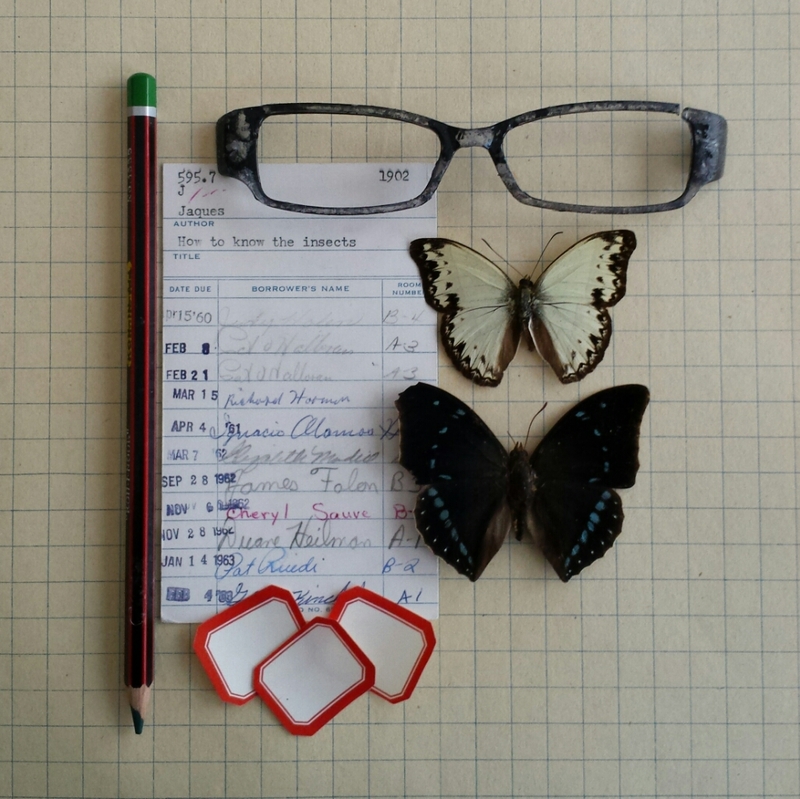 The library card collage is an example of a piece that was started when I found the library card in a pile – it just sparked a story – and this will most likely get made into an original collage. The photo of the lady standing next to the card shows first my initial thought of pulling papers/ideas together. Here is the finished collage, so you can see that not everything of my original idea ends up in the final collage. 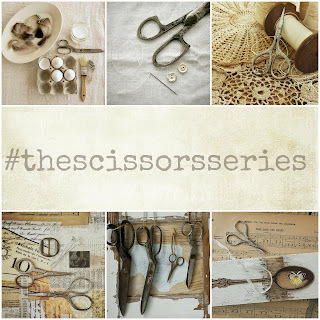 What tips or tricks can you share about the technical aspects of creating collages? ie do you use paper and glue then scan and develop the design electronically? Within the last two years I have been working digitally – I will scan one of my paper collages once it is complete (and before I add any found objects) and then I will combine/merge/layer other photographs that I have taken onto that scan to create a new composition. I have both the original paper collage and then the new digital collage which allows me to capitalize on an original idea in several different directions. Below is an example of a paper collage that I finished – The Primer – which I then scanned – and layered four additional photos/layers to create a new, altered piece. 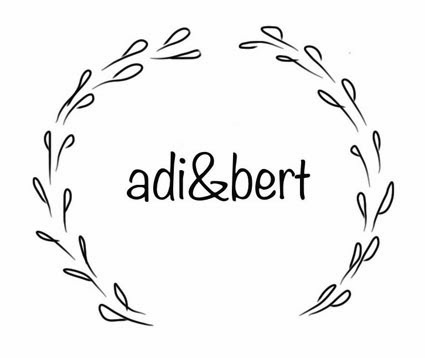 Do you sell your art or work to commissions? If so, how do you stay motivated and keep on track to meet deadlines and do you have a day job as well? I do sell my art – I do about 3-4 area art shows a year as well as having an Etsy shop. I decided about 15 years ago that I wanted to go back to my artistic yearning of my youth and pursue art seriously. I had already spent almost 20 years in non-profit management and knew all about living on little money – making the switch to living life as an artist would be pretty much the same! Unfortunately, I haven’t been able to totally survive on artist wages so I work a part-time retail job that pays the mortgage, but doesn’t tax my mind or energy so I have the mental resources to create. I stay pretty focused to create every day – some days more productive than others but it's rather second nature to me now. I’ve always been a planner so when a show is coming up, I know what I need to get accomplished to have a successful show; it helps that I have a variety of goods – original art, prints, and greeting cards. It’s always nice to sell original art but not everyone can afford it. I sell a lot of cards at my shows – not a great money-maker, but I have gained followers and they may step up and purchase a more expensive piece in the future. I have done commission work ... its great when you have freedom in how you approach the work, but it can be limiting as well. There have been times when I just want to get the piece finished, my heart was never in it from the beginning. What are your creative hopes and dreams? Of course, I would love to be well known enough to have people clamouring for my work at unheard of prices! But back down to reality...a little more notoriety would be nice; perhaps getting into licensing some of my images.